McPherson & Company (McPherson & Co) has published many award-winners, including two 2013 IPPY award winning titles in the same category. 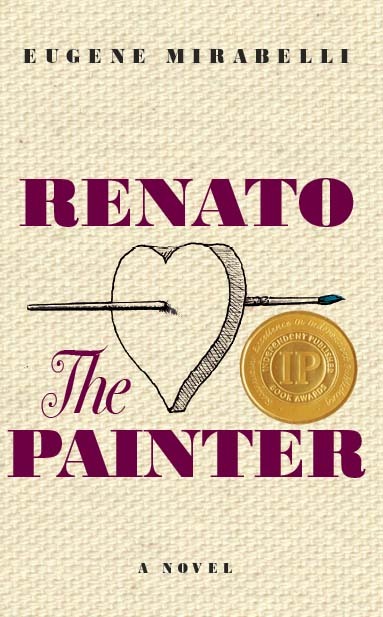 In the literary fiction category, Renato, the Painter by Dr. Eugene Mirabelli tied for gold and The Isle of Kheria by Robert Cabot was awarded a silver IPPY. Renato, the Painter was the first book that Dr. Eugene Mirabelli published with McPherson & Co.
Dr. Mirabelli recalls knowing of McPherson as a fellow member of the industry; his wife ran Spring Harbor Press and thus they were involved in the field in several ways. He had also previously bought some of McPherson’s books. Dr. Mirabelli then suffered the loss of a loved one and slowly began getting back into the swing of things when McPherson expressed interest in his manuscript and Renato was on its way to publication. It is clear that the trusting relationship that McPherson strives for exists between these two. Along with McPherson’s flexibility, their shared ideals are what drew Dr. Mirabelli to McPherson as the publisher of his recent work, Renato, the Painter. More of Dr. Eugene Mirabelli’s thoughts can be found on his blog and on the McPherson & Co website.